Andrew DeBenedictis rejoined E3 in summer 2018. He works in E3’s newly formed Boston office, where he helps clients in New England and elsewhere work towards a cleaner, more efficient energy sector. 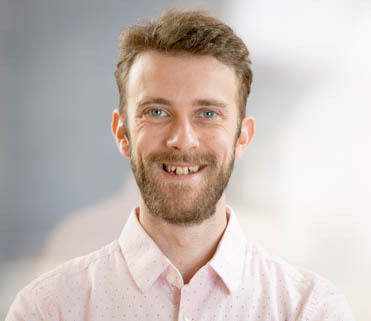 A member of E3’s planning team, Andrew is currently investigating Clean Energy Standards as an approach to meeting state carbon reduction targets. He also uses E3’s extensive modeling capabilities to analyze and enhance utility grid modernization strategies. Andrew originally worked at E3 for five years before attending graduate school. During that time, he contributed to E3’s landmark study, published in the journal Science, that analyzed the technology path to deep decarbonization by 2050. He also helped the California Public Utilities Commission develop a successor to its net energy metering (NEM) tariffs and conducted extensive rate design analysis for large commercial and industrial customers. A sense of urgency for addressing climate change and an appreciation of the complexity of that task animates Andrew’s work. He finds that the breadth of E3’s projects provides both an exceptional education and a bracing awareness of the challenge at hand. In his free time, Andrew enjoys cooking, playing bridge, and playing drums in a Boston-area band.